In the last 20 years, the City of Columbia has embarked on extraordinary revitalization efforts, particularly in the downtown area, drawing in new people and activity that’s restored it to its former glory. M. B. Kahn has been honored to watch this city thrive once again and is thrilled to continually contribute our construction services to bolster our own hometown. M. B. Kahn is providing renovations of Seibels’ historic headquarters building located at 1501 Lady Street in Columbia. Since its founding in 1869, Seibels has played an important role in the Columbia community. Together, Seibels and M. B. Kahn will pay homage to the rich history and design of the Seibels Building, while also incorporating modern elements. Due to its historical significance, the 1949 portion of the building is being added to the National Register of Historic Places and will be listed as a City of Columbia landmark. Renovations are expected to take at least two years and include restoring the original terrazzo flooring, preserving historical fixtures and finishes, and updating all of the major building systems including the electrical, HVAC, and roof. Completed in 1965, M. B. Kahn constructed the 18-story residence hall, which provides housing for 423 students from its central location on the University of South Carolina campus. In 1969, M. B. Kahn completed construction of the 235,000 square foot bank and office building at Main and Lady Streets. The building was specifically constructed for the South Carolina National Bank which was founded in 1834. This 242,000 square foot library is the main branch and has a stunning glass facade. Named the 2001 National Library of the Year, RCPL (including 10 branches) has 1.3 million books and non-print resources. In addition to the main library, M. B. Kahn also constructed 7 branch libraries for Richland County. Since completing the original Main Library building in 1992, M. B. Kahn continues to assist the Richland Library System with its needs. In November 2013, Richland County passed a $59 million bond referendum to update all library locations by adding and reconfiguring space, technology, and resources to better fit the way customers need and use the library today. The Program includes $15 million of improvements at the Main Library. These improvements are being completed in phases, by floors, and are scheduled to be complete in 2017. M. B. Kahn worked with 10 agencies to make this project a reality. We assisted at every step of the way, providing budgets for different concepts. The Convention Center combines contemporary architecture with classic brick veneer and canopies that complement the existing buildings of the Vista area. Large glass curtain walls span the Lincoln Street side of the building, and the north end boasts a stair-step garden area overflowing with lush, green plants. 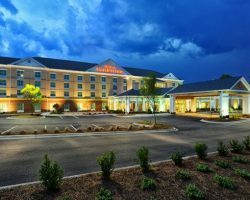 The upper level contains a 17,000 square foot ballroom, elegant pre-function areas, the Richland School District One Hall of Fame, several executive conference rooms, administrative offices, and a full banquet kitchen. The lower level includes a 24,700 square foot exhibit hall, three additional meeting rooms, and miscellaneous support areas. This hotel, which contains a Ruth’s Chris restaurant, serves the convention center in downtown Columbia. There are 222 signature guestrooms and suites, including 2 Presidential Suites, 12 Executive Suites, and 3 Junior Suites – all surprisingly spacious and inviting. The Hilton® Columbia Center is ideally located in the center of the financial, entertainment, and historic district, and embodies a graceful combination of historical architectural elements with modern facilities, chic design, and Southern hospitality. M. B. Kahn planned and executed an extensive safety plan during construction due to the project’s location in a heavy pedestrian and vehicular traffic area. 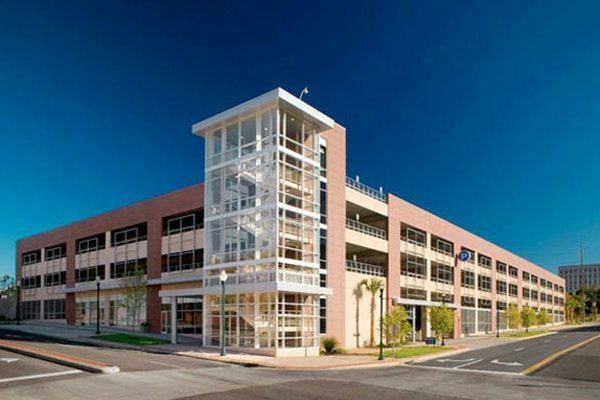 This 674-space, four-level parking deck is located in downtown Columbia, providing parking for the surrounding commercial and restaurant district. Consisting of an all pre-cast structure with thin brick exterior, the project included 4,300 square feet of office space, parking controls, and exterior hardscape work. South State Bank is a 60,000 square foot bank headquarters located on Gervais Street in downtown Columbia, SC. It includes executive offices, boardroom, banking management areas, and a branch bank with a drive through. Its exterior finish is composed of brick veneer, architectural pre-cast, and storefront glass. The interior includes high-level finishes and immaculate finish carpentry and trim. This project was delivered utilizing pre-construction and open book accounting. It’s common that through rebuilding a city’s downtown area—often seen as its hub—progression begins to spread throughout the entire area. That’s what continues to occur in Columbia, as focus to reestablish the downtown over the last two decades has aided in the growth of the city. 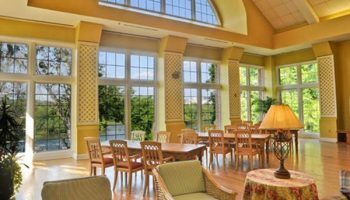 Residents and visitors now enjoy thriving districts that house popular restaurants, shops, and galleries while benefiting from new area attractions. This new construction keeps the spirit of Columbia alive, and our team at M. B. Kahn works hard to continue our over 90-year legacy through providing sustainable construction services all over the city and surrounding areas.